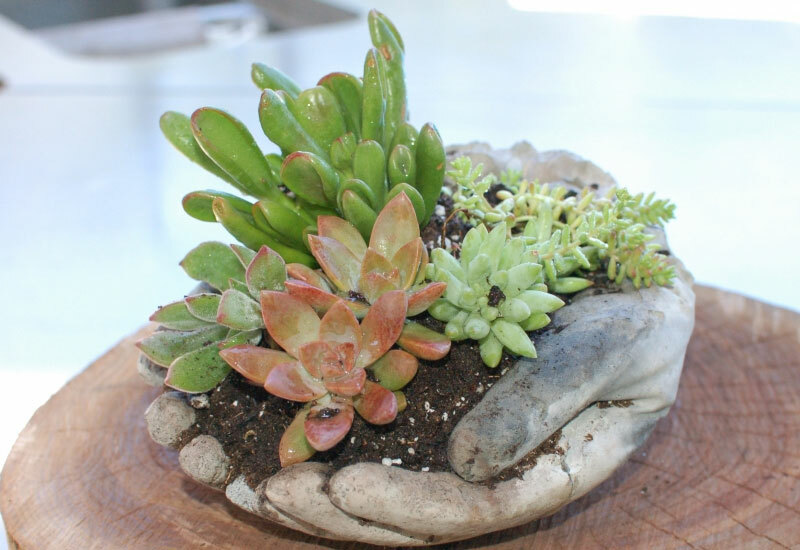 Decorate your garden, patio, porch, or even your apartment with these adorable, unique, easy-to-make Concrete Garden Hands planters this spring. The first thing you’ll want to do is make the mold. For this project we’ll be using the rubber gloves as the base. To start, cut a 3 inch slit on the pinkie side of each glove, starting at the base and working up towards the finger tip. You’ll then use duct tape to seal the back and front of the “hands” together, making the two gloves into one cohesive unit. 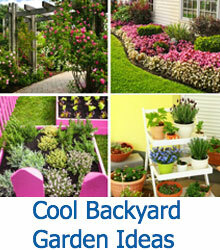 In one of the large bowls/buckets, mix together the concrete mix and water. You may need a little less or a little more than the 1.5 cups of water to get the desired consistency, so mix slowly. You want the final mixture to be smooth but not too runny, like thick brownie batter. For this step you’ll want to put the latex gloves on to protect your hands. Carefully scoop the concrete mixture into the gloves, making sure to work the mixture down into the tips of each finger. 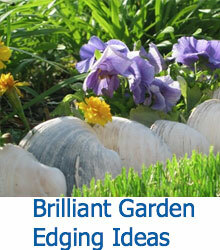 Don’t overstuff the palms, as these are going to be cupped to achieve the base/bowl of your planter. Ultimately the finished product should only be as thick as regular human hands would be. Once the glove mold is filled, you’ll want to place it in the position you want it to dry in so that it can set. To do this you’ll need the second large bucket and several towels. Once you place the hands in a cupped position in the bottom of the bucket, you’ll want to place the towels under each side of the mold to prop it up while it dries. You’ll want to allow this to set for 5 days. Once the concrete has set, you simply need to use scissors or a small knife to cut away the gloves from the concrete. 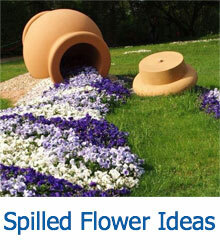 Now you’ve got a unique planter that will bring a delicate, artistic touch to any gardening space. 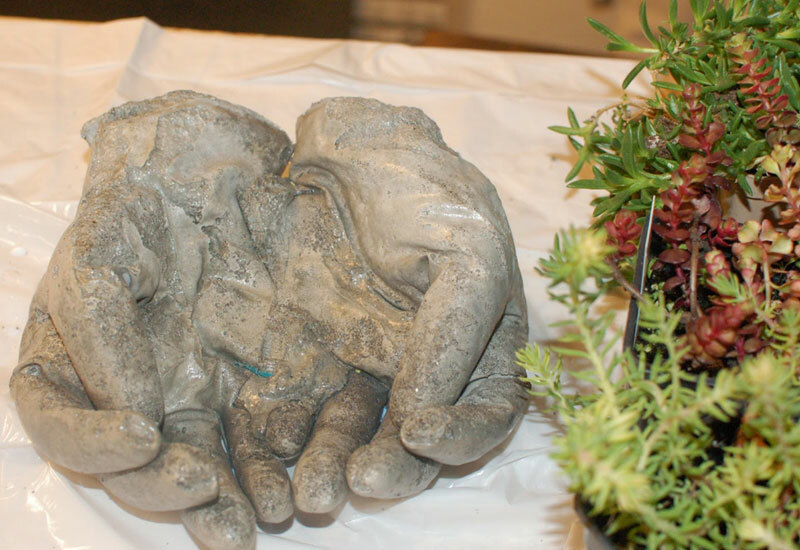 With this quick process you’ll be able to put your own flair on your garden this spring by making your very own Concrete Garden Hands.